Gorenje Supervisory Board appointed a new Management Board that will manage the company in the next five years. The President and CEO Franjo Bobinac to whom the Supervisory Board entrusted late last year the task of assembling the Management Board, proposed six Management Board members. In addition to Bobinac, it shall include two incumbents – labour director Drago Bahun and Žiga Debeljak – and three new members in Stanka Pejanović, Tomaž Korošec, and Saša Marković. Stanka Pejanović is coming to Gorenje Management Board form Gorenje Belgrade where she has been the managing director of one of Gorenje's largest international subsidiaries for the last four years. In this period, she has successfully restructured the company that managed to retain a high market share despite the fact that the country welcomed new competitors. Before joining Gorenje, she had worked at the Mercator Group, first as the managing director at Mercator–S, then as Management Board in charge of operations in Southeastern Europe. Tomaž Korošec has worked at the Gorenje Group for over 20 years; for the last year, he has been the Senior Vice President in charge of corporate procurement, investment, and central maintenance. Before that, he had been the executive director of production, and he carried out one of the most challenging reorganization processes at the Group following the takeover of the Scandinavian company Asko. Under his leadership, Gorenje relocated five factories between five different countries, this considerably reducing its operating costs. Saša Marković is coming to Gorenje from Philips Electronics North America where he has been the Senior Marketing Director of Personal Care for North America since 2015. Before this assignment, he had been active in the small domestic appliance industry as he was the general manager and commercial leader of the Philips Consumer Lifestyle subsidiary for Central Europe, based in the Czech Republic. From 2005 to 2011, Marković also worked for the multinational Procter & Gamble where he was as category manager planning and executing the development strategy in the Balkans. The Management Board members will also have new assignments in the new term of office. As the Chief Financial and Digital Officer, Žiga Debeljak will be in charge of finance, digitization, supply chain, and non-core operations. Drago Bahun will be the labour director in charge of social dialogue. Stanka Pejanović will be the Chief HR Officer and she will thus be in charge of human resources, organization, service, and support services. Tomaž Korošec shall be responsible for technology, production, development, supply, and investments. Saša Marković will be appointed Chief Sales and Marketing Officer; thus, he will be the Management Board member in charge of major and small domestic appliance sales under all brands, strategic marketing, and design. President and CEO Franjo Bobinac will, in addition to coordinating and leading the Management Board, directly oversee the work of the office of the Management Board secretary and the fields of corporate communications and corporate security. Moreover, he will focus in his next term of office on the integration with the strategic partner, identification of synergies between the companies, and brand development strategy. Upon appointment of the new Management Board member, Franjo Bobinac said: "Gorenje is currently completing a process in which we have found an excellent strategic partner with whom we will build a stable future and ensure Gorenje's growth. Today, the company is getting a team that has the knows how to and can make use of all advantages that the strategic partner brings to the Group. Drago Bahun, Žiga Debeljak and I have worked together excellently in the Management Board to date. Drago Bahun has a very delicate sense for social dialogue and balance between various stakeholders within the Gorenje Group, which is needed at the company. Žiga Debeljak has, in addition to very good financial management, laid down years ago a comprehensive approach to digitization at the Gorenje Group. 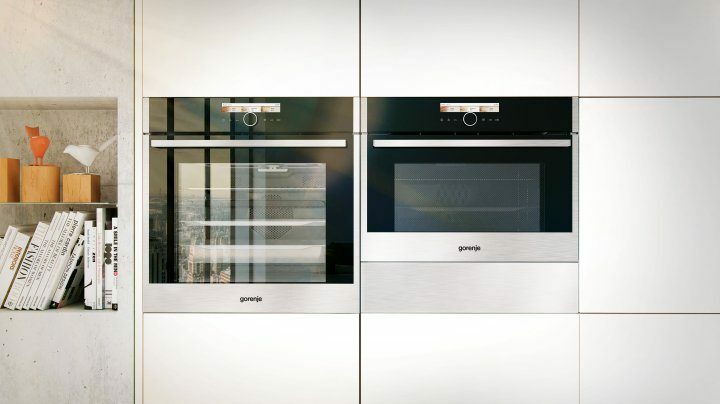 This will remain a key Gorenje direction, especially in light of development of smart and connectible appliances that have been changing and will continue to change our industry. Stanka Pejanović has built quality foundations in Serbia for the growth of our Serbian subsidiary. She will use the experience she has acquired for human resources development at the international level, as well as for development and more efficient operation of all support services in all markets. Tomaž Korošec's experience and his goal-driven approach will be used for accomplishing the strategic plans the new owner has with us. In addition to expanding the manufacturing operations in a variety of Gorenje's locations, the fields of technology, development, and procurement are where we will seek the most synergies with the strategic partner. Saša Marković brings a breath of fresh wind to the company, since he has acquired experience both in Europe and, in recent years, in North America. Apart from our industry, he is also closely familiar with sales and marketing of fast-moving consumer goods. I believe this is the team that Gorenje needs for the future." Management Board members shall commence their terms of office on July 20, 2018, except for Saša Marković who will become a Gorenje Management Board member on September 1, 2018.